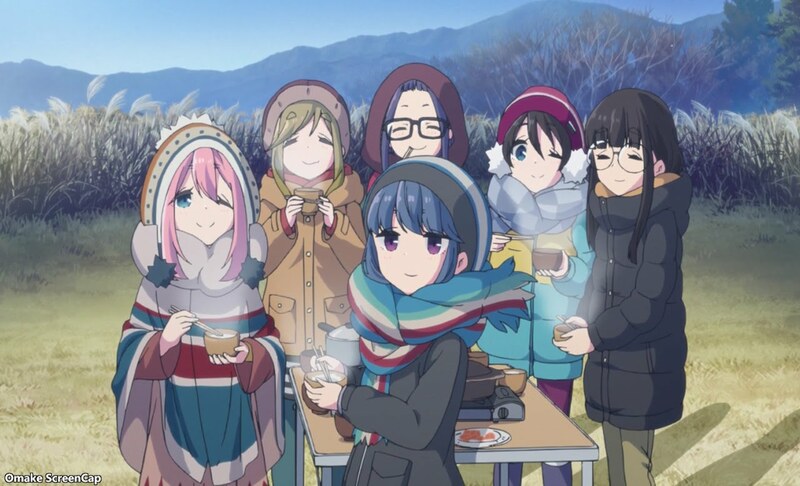 The girls smiled about a successful year of cold weather camping. Maybe Rin and Ena will officially join the Outdoor Activity Club next year. The girls took turns in the hot bath as Toba-Sensei drank and told Rin and Nadeshiko that the helpful younger guy wasn't her brother, but her younger sister! 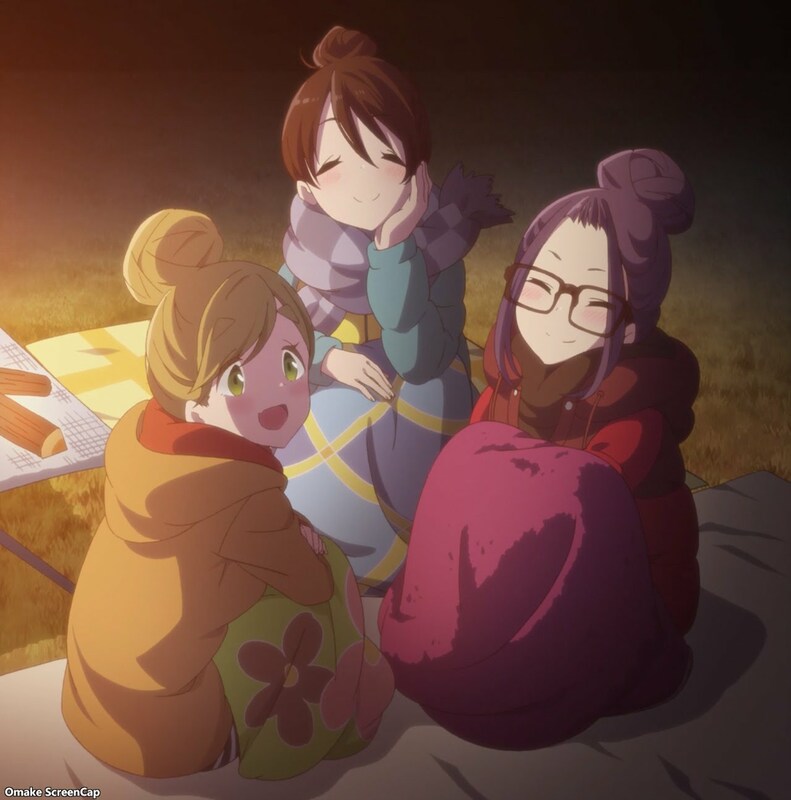 Rin's hair bun became known as the famous Shimarin Dango. Not really, but everyone got one. Except Nadeshiko. Ena played her usual prank. The whole point of Christmas camping was sunrise over Mount Fuji. Mission accomplished! The epilogue showed some scenes of our favorite supporting characters. Like Sakura. We needed to see her in a hot spring, just saying. And Nadeshiko mirrored Rin's opening scene from the first episode. Neat!